Always steps head! 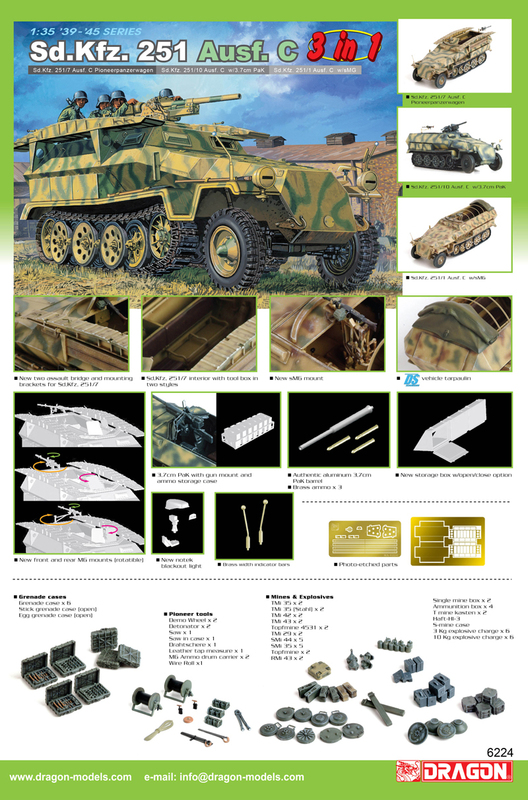 In responding to the great success of our innovative ~3-in-1~ Sd.Kfz.251 Ausf. D series kit, we now present you with: the Sd.Kfz. 251 Ausf. C. Series ~3-in-1~ Model Kit.